I can already hear some of you saying, “that’s not true, look at all of the erratic behavior of wealthy celebrities and socialites.” YES, exactly. They are overspending, have people on their teams stealing from them or abusing their expense accounts, and many of these people owe millions in back taxes!!! My point is just because someone is rich doesn’t mean they will remain that way for years to come. Erratic, irrational, crazy, toxic emotional behavior will affect your earnings whether you are middle class or uber rich. It’s all relative. • Approx 4 years ago, I was an emotional mess but I wasn’t aware of it. I was a full blown workaholic with exercise bulimia, and dating all the wrong guys. I also was making more $$$ than ever before. Guess what happened, I lost almost 400k in hard cash in less than a year! I had someone steal from me, I leant money to someone who never paid me back, had a business deal with no signed contract (my fault), and I was paying other people’s bills out of some made up obligation. On the street things looks damn good but inside my brain and my bank account was pure chaos. So the master of money Warren Buffet is damn right. 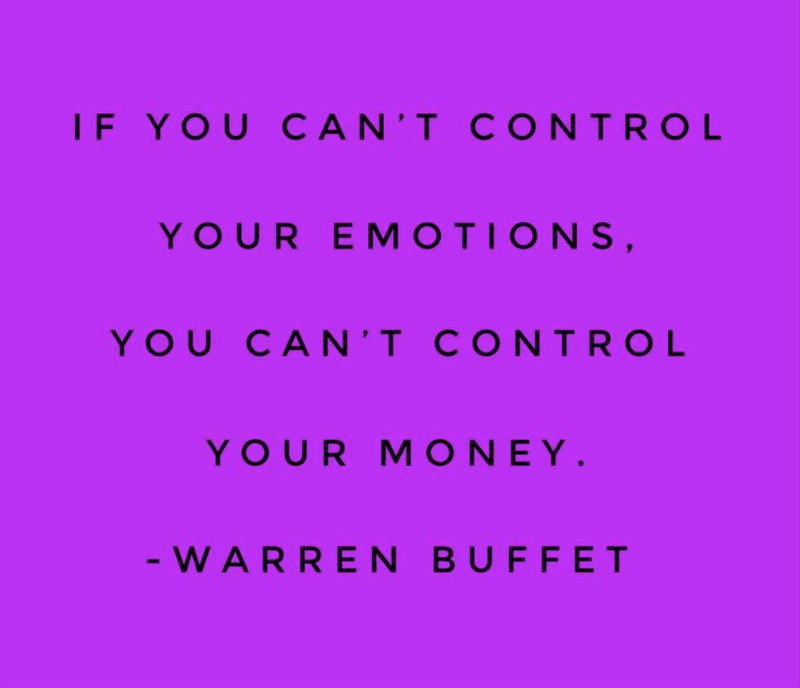 When our emotional life is in chaos so is our financial life.